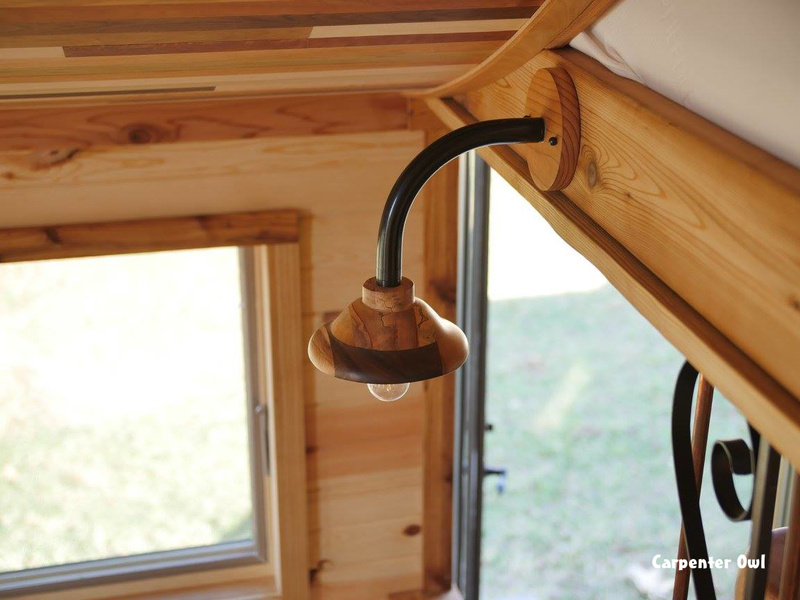 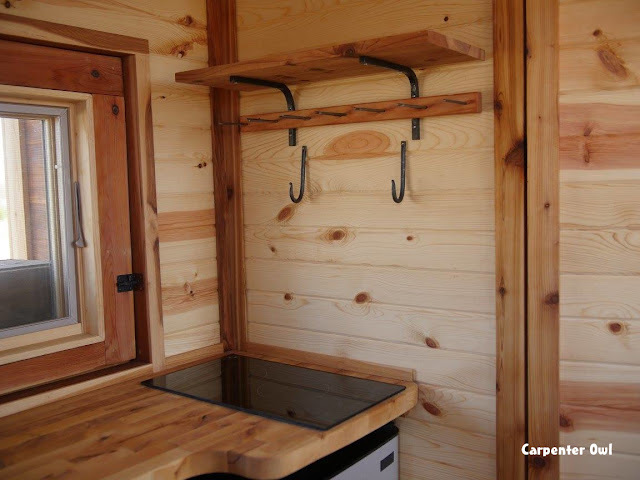 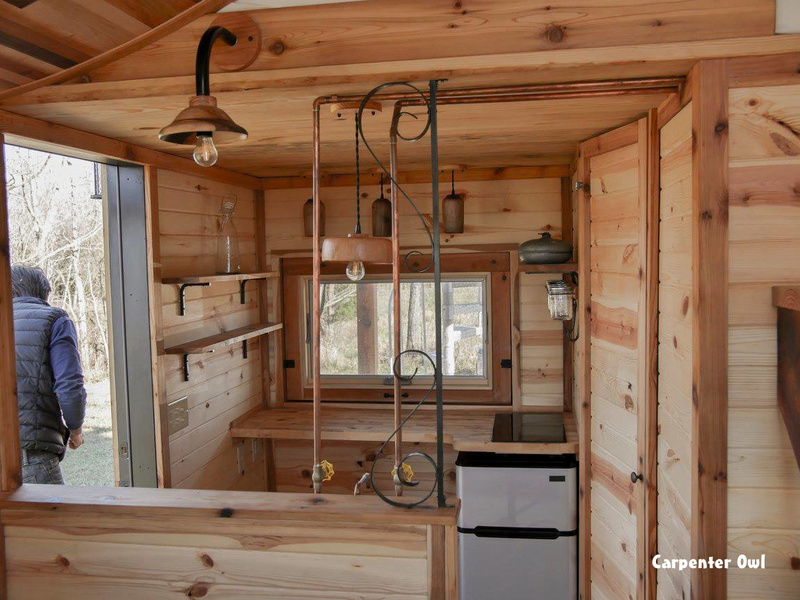 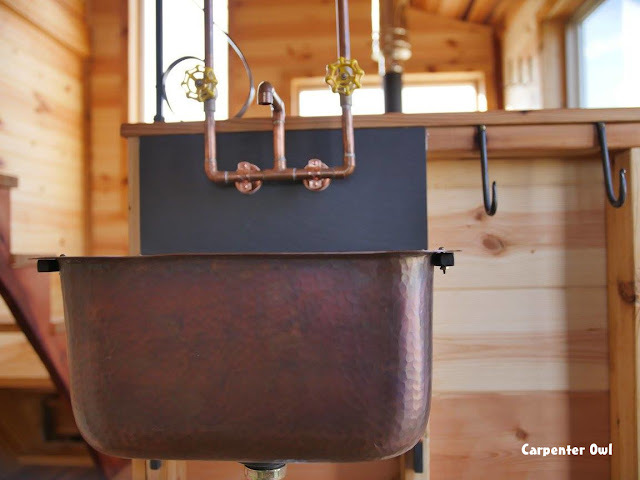 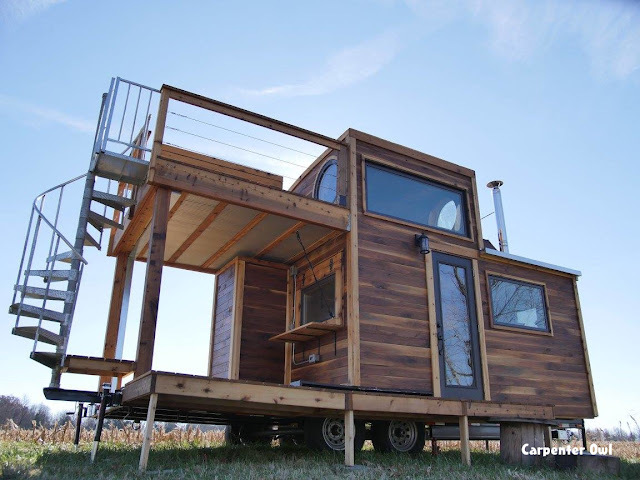 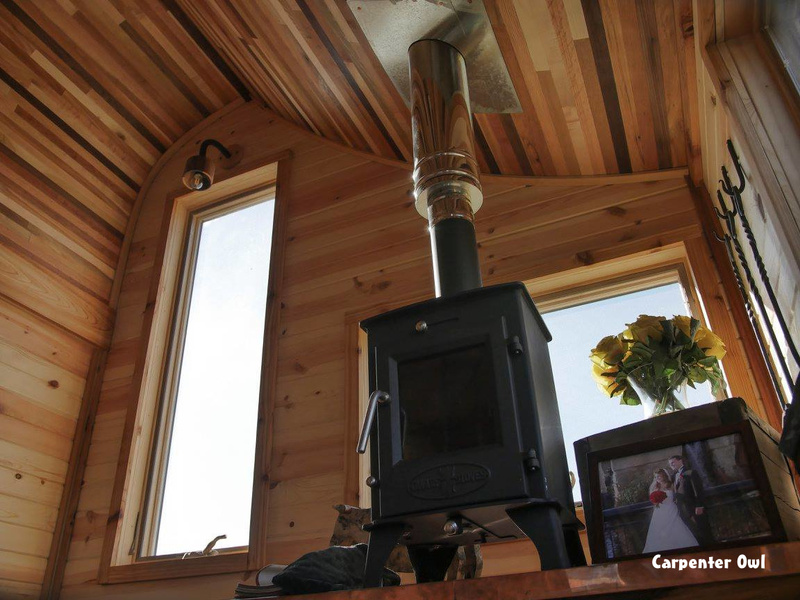 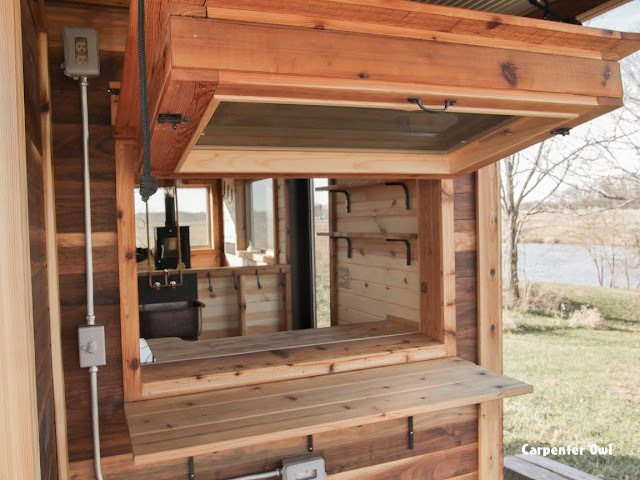 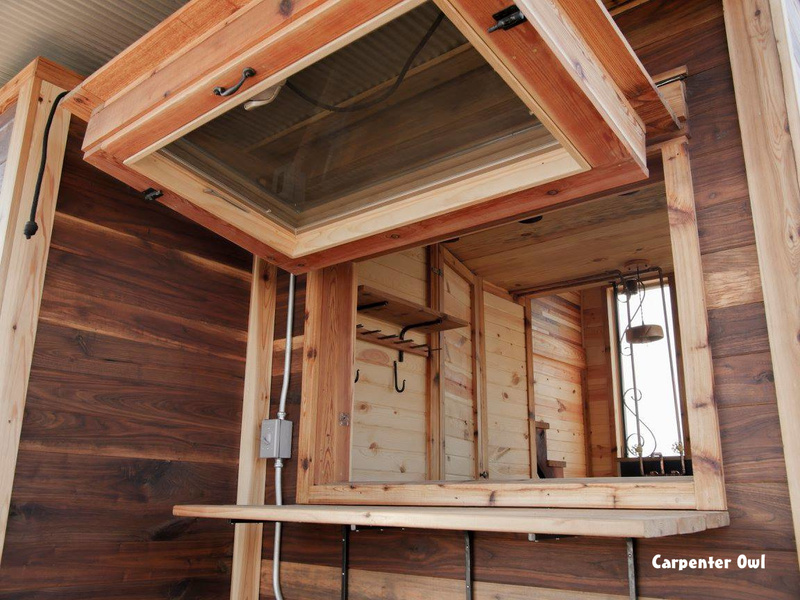 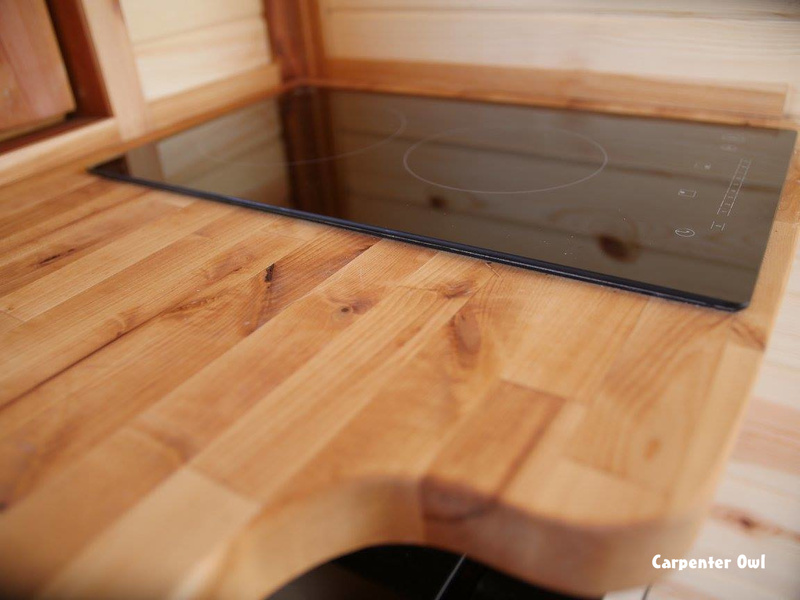 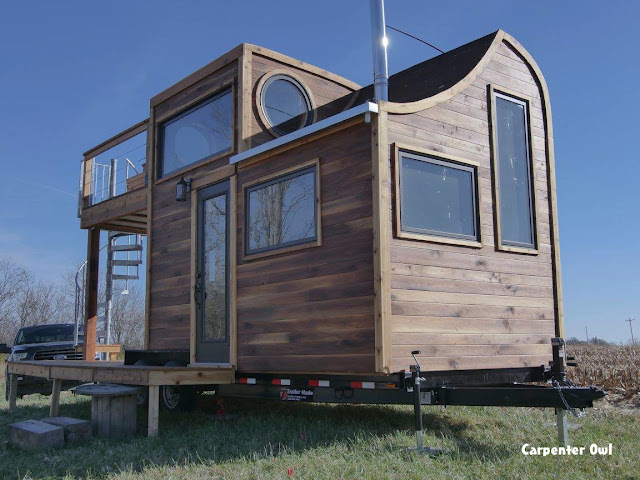 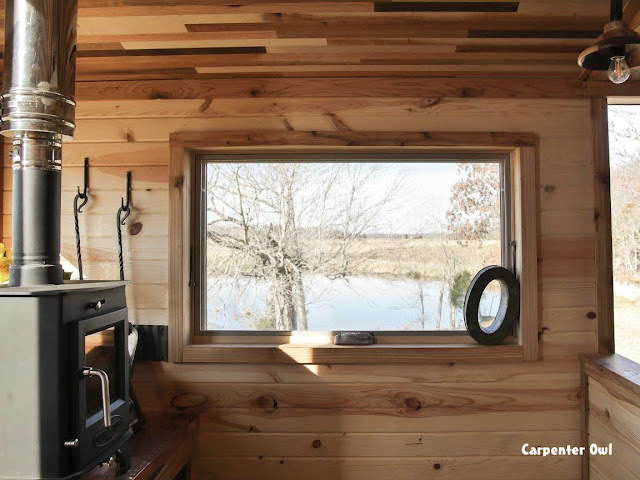 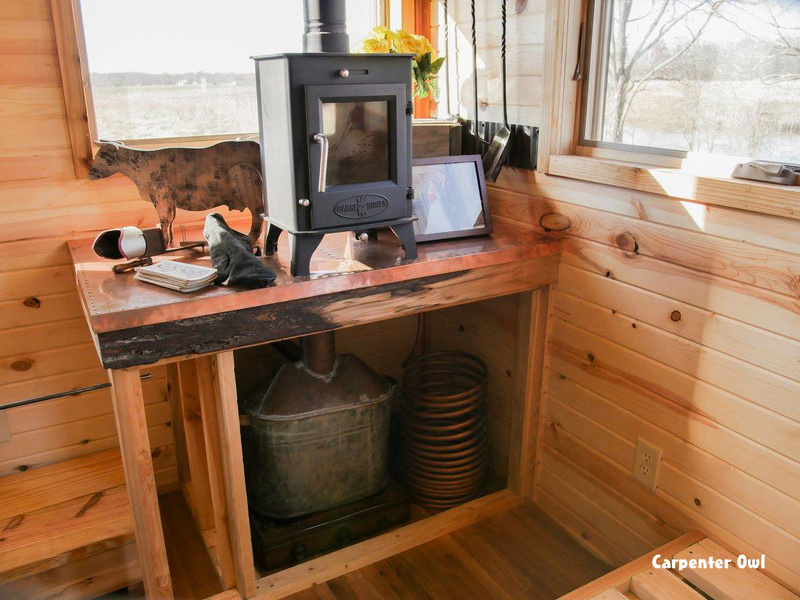 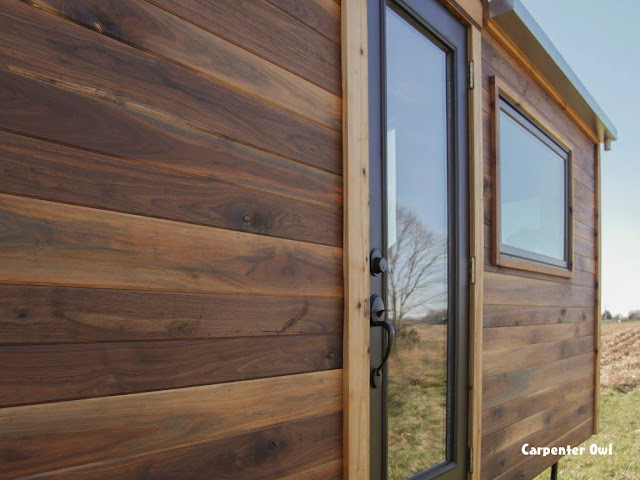 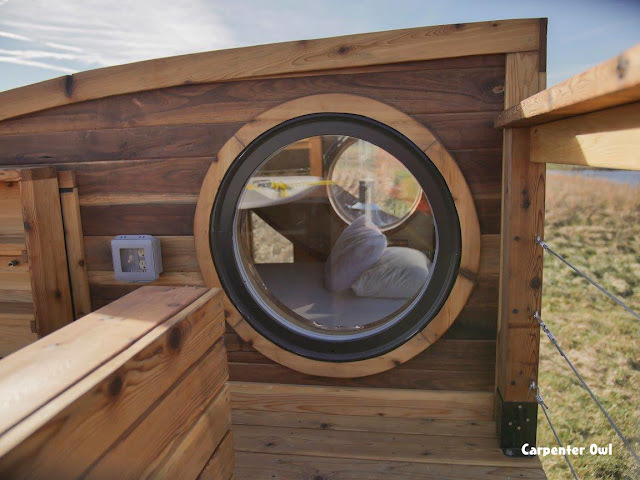 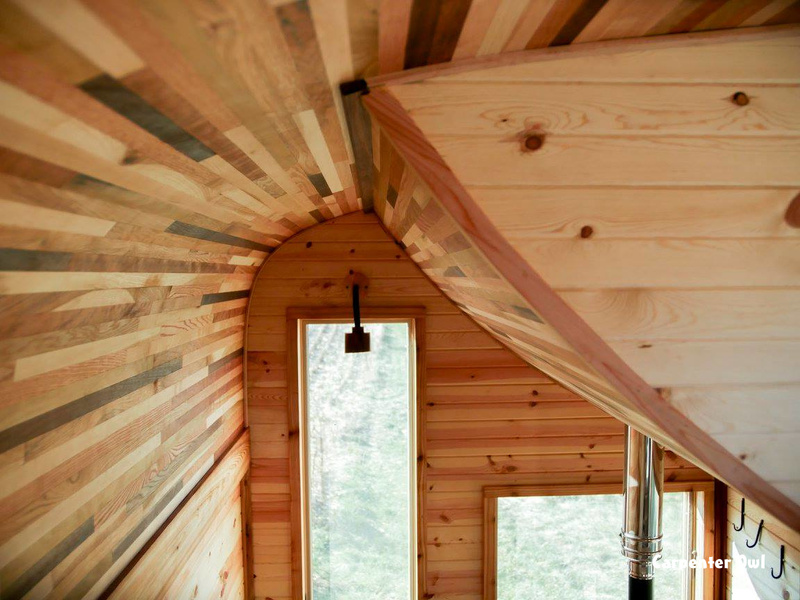 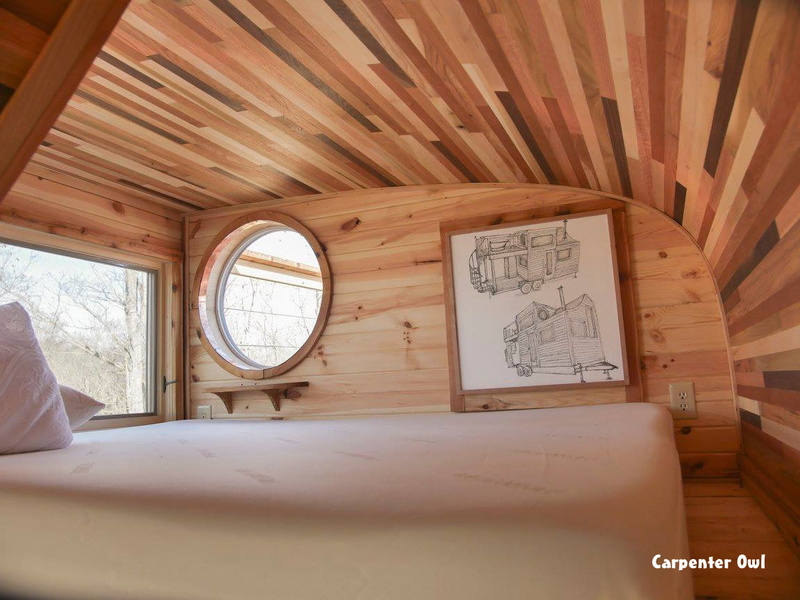 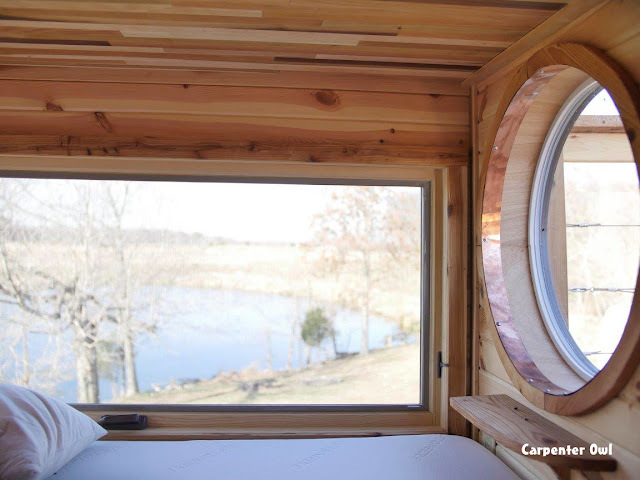 Check out this beautiful bespoke tiny house that comes with a whiskey still! 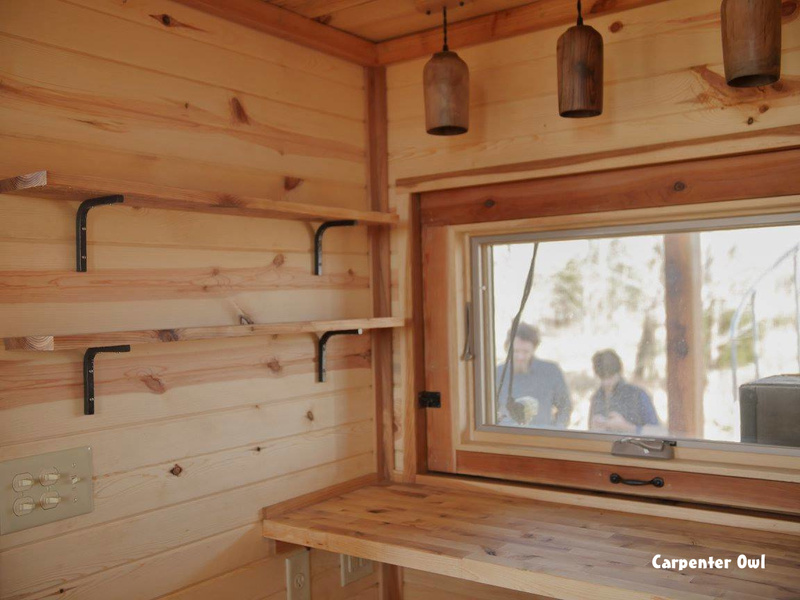 Named the "Honey on the Rocks", the home is a custom build, designed and constructed by Carpenter Owl. 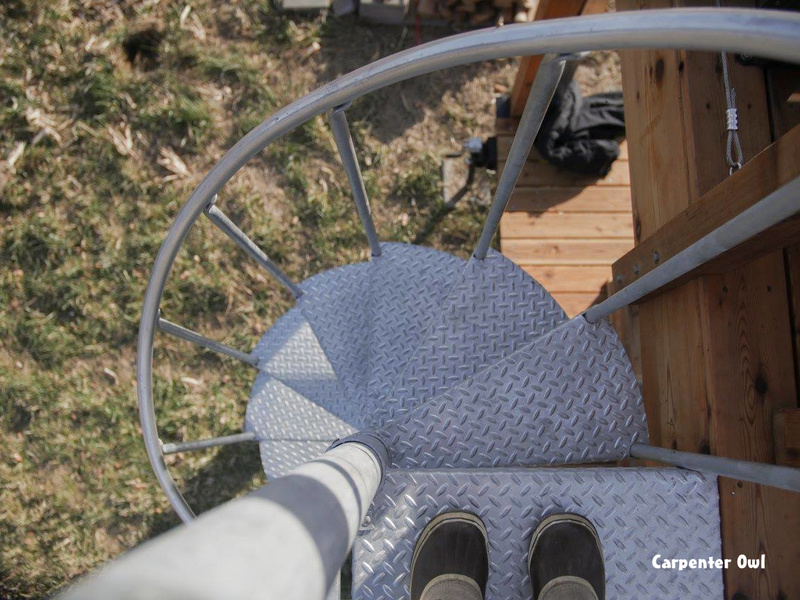 The home's eye-catching exterior features a mix of walnut and cedar with curved roof lines, a double-teired deck, and a spiral staircase on the back of the home. 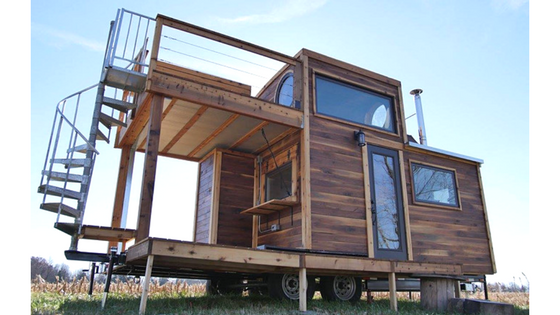 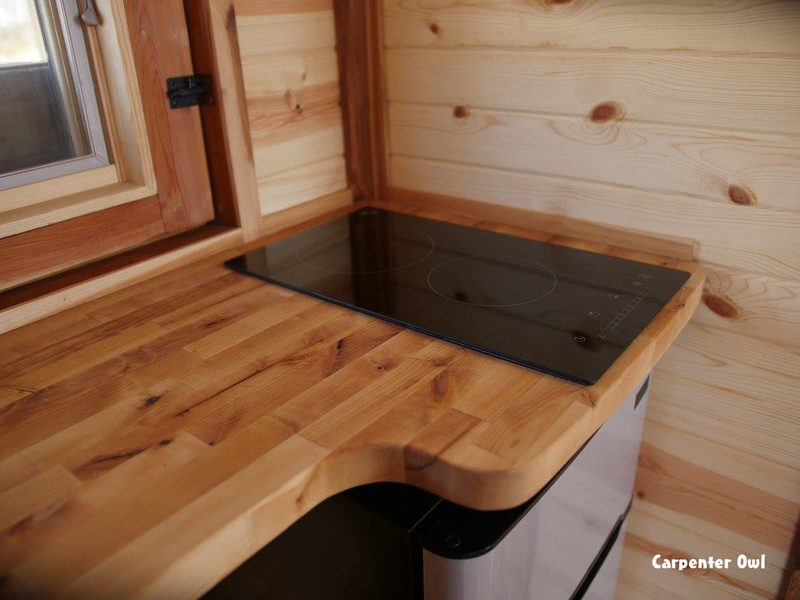 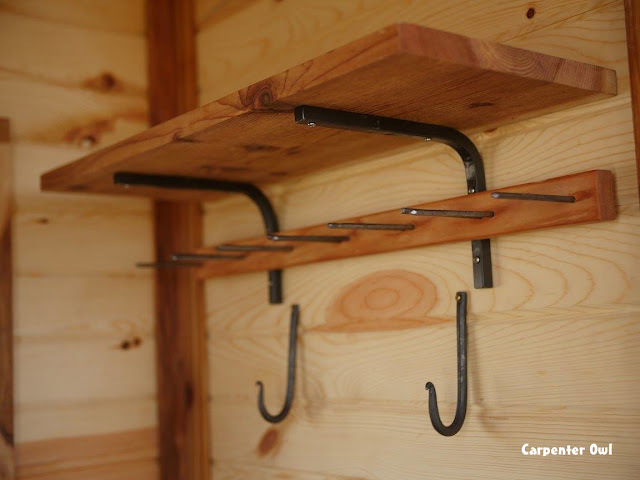 It was even featured on HGTV's popular show, Tiny House, Big Living! 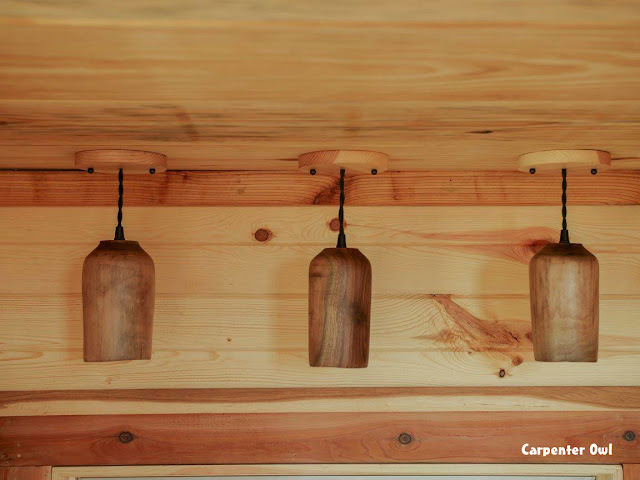 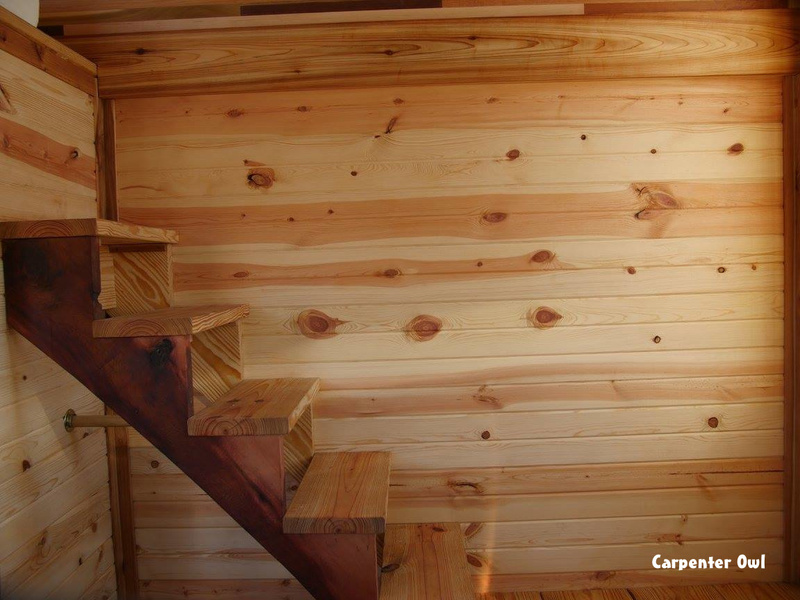 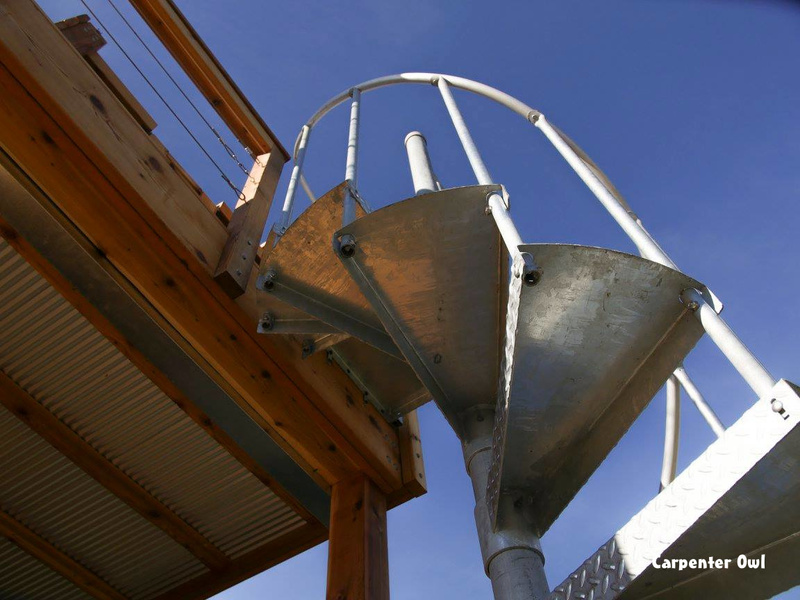 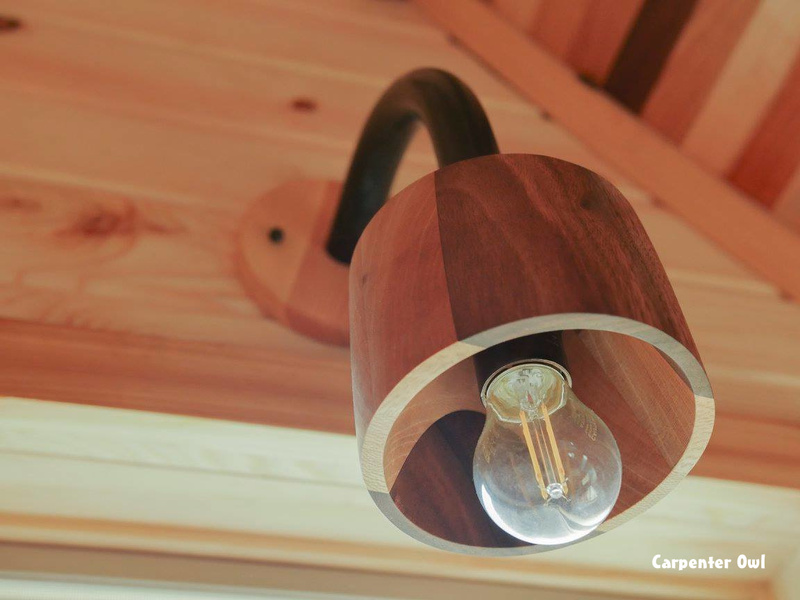 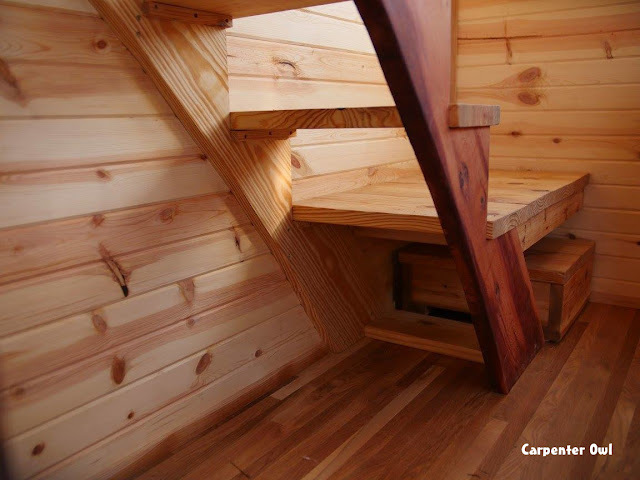 Carpenter Owl specializes in custom homes, which take about 12 weeks to build. The Honey on the Rocks, is valued at around $85,000.